VATICAN CITY — The Vatican has taken testimony from a man who says ex-Cardinal Theodore McCarrick sexually abused him for years starting when he was 11, evidence that the initial case against the retired archbishop has expanded to include serious allegations of sexual misconduct, including in the confessional. James Grein testified Thursday in New York before the judicial vicar for the New York City archdiocese, who was asked by the Holy See to take his statement, said Grein’s civil attorney Patrick Noaker. Grein’s claims, first reported by The New York Times, are more serious. 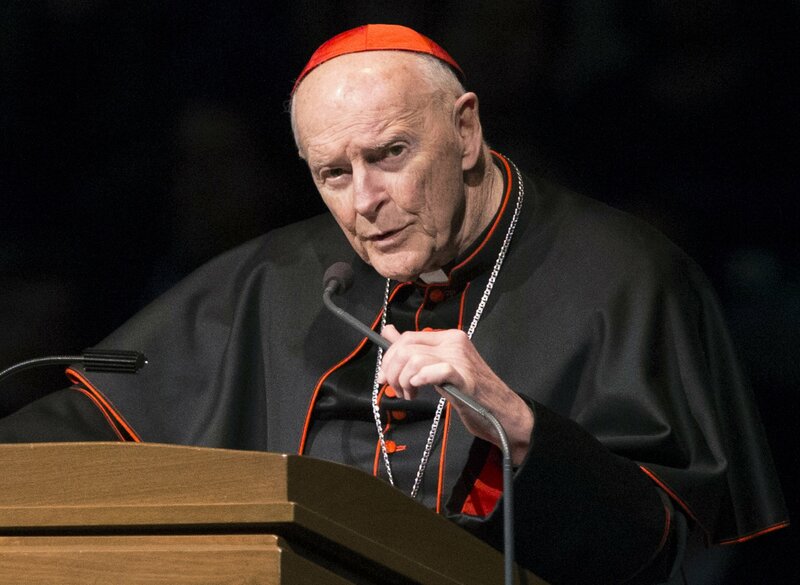 He has alleged that McCarrick, a family friend, first exposed himself to Grein when he was 11 and then sexually molested him for years thereafter. Noaker said in his testimony Thursday, Grein also gave “chilling” details about alleged repeated incidents of groping during confession — a serious canonical crime on top of the original offense of sexually abusing a minor. Noaker said combining sexual abuse with confession haunts Grein today. McCarrick denied the initial groping allegation of the altar boy and has said through his lawyer that he looks forward to his right to due process. It wasn’t clear when his testimony would be given. The McCarrick scandal has sparked a crisis in credibility in the U.S. and Vatican hierarchies, since it was apparently an open secret in some church circles that “Uncle Ted” slept with adult seminarians. Yet McCarrick still rose to the heights of church power, and even acted as the spokesman for U.S. bishops when they enacted a “zero tolerance” policy against sexually abusive priests in 2002. The Associated Press does not identify people who say they have been victims of sexual assault unless they grant permission. Grein has gone public with his full name. In addition to the canonical case against McCarrick, Noaker filed a police report against McCarrick in July.